Experimentation in air-to-air refueling commenced in 1920s. Considering that the first flight itself took place in 1903, the lure of air-to-air refueling appears to have manifested itself rather early, long before the term ‘force multiplier’ appeared with its multi-faceted connotations in the military context. Today, air-to-air refueling is used by those nations that can afford it. Its advantages are truly force multiplying: the range and endurance of aerial platforms can be increased considerably, combat aircraft can enhance their combat staying power or reach targets beyond their normal radius of action and, in case of hot-and-high airfield operation, where their weapon payload is otherwise restricted, still carry a full payload at the cost of equivalent fuel weight which is then recompensed through air-to-air refueling. In addition, air-to-air refuelling enables scarce combat aircraft to be moved from one theatre to another rapidly. The Indian flirtation with air-to-air refueling is around a decade and a half old, but its experience has been less than happy. This article takes a brief look at the past and then examines the current initiative to acquire new tankers. India signed up for six Ilyushin IL-78MKI flight refueling aircraft (FRA) from Uzbekistan in 2002. The Russian airframe, a variation of IL-76 with 1985 vintage avionics, with Israeli fuel transfer system was inducted into 78 Squadron of the Indian Air Force (IAF) in March 2003. The squadron was named Mid Air Refueling Squadron (MARS). This FRA, six of which are in current service, can refuel three jets simultaneously and, in one operation, can refuel 6-8 Su-30MKIs. It can also refuel the Jaguar and the Mirage 2000. This capability has been practiced extensively and demonstrated while moving for participation in international exercises. The latest aircraft to be refuelled by the IL-78 is the Netra Airborne Early Warning and Control (AEW&C) aircraft. When the IL-78 was procured, the projected serviceability figure was 70 per cent. However, the actual serviceability has been under 50 per cent. There have also been problems of spares and maintenance, especially with the refuelling pods due to frequent failures, inadequate repair facilities and poor maintenance support from the original equipment manufacturer (OEM). A Comptroller and Auditor General (CAG) report of July 2017, found other issues with the IL-78. The short-fall of maintenance hangars was highlighted and so was the fact that while the aircraft requires a runway length of 11,480 feet to 15,022 feet to carry full fuel load, no effort had been made to make such runways although the IAF had identified ten airfields for the purpose. Possibly, the runway extension has been shelved due to the fact that the aircraft are due for a major overhaul in 2018-19, during which the engine is to be upgraded obviating the need for the longer runway. There is also the issue of shortage of hydrant refuelling systems to tank up the IL-78s quickly. Irked by the poor reliability and serviceability of the IL-78 and needing more than six FRAs to meet its requirements of a two-front war, the IAF started looking at a new procurement within three years of inducting the IL-78. The first Request for Proposal (RFP) was floated in 2006 and the Airbus A330 MRTT (Multi Role Tanker Transport) was the finalist, but in 2010, the RFP was cancelled reportedly because the Ministry of Finance expressed “reservations relating to the high cost”. In 2010, another RFP was issued to which Russian Ilyushin, Ukrainian Antonov and European Airbus responded. In January 2013, once again the A330 MRTT was declared as the platform of choice. Incredibly, the process was terminated once again citing high cost. In January 2018, the IAF initiated its third endeavour to augment its existing fleet of aerial tankers through a Request for Information (RFI) for procuring “six FRAs along with its associated equipment for the IAF to meet air-toair refuelling requirements.” The requirement is for a twin-engine, two-man crew aircraft with at least 40 years of residual life. These requirements seem to be focussed on keeping fuel and maintenance costs low so as to prevent a third damp squib experience. However, as a result, the IL-78 being a four engine FRA, has been precluded from the competition despite an offer of six new generation Il-78M-90 tanker aircraft in addition to upgrading the six existing Il-78Ms to the dash-90 standard, new avionics, additional fuel capabilities and replacing the D-30 KP engines with new PS-90s. The offer also includes conversion of one or two Il-76 transport aircraft into FRA. The last date for responding to the RFI was March 30, 2018. It is expected that the RFP will include a 30 per cent Offset clause and consider a 30 year life-cycle cost (LCC) as a factor. The decision for a twin-engine FRA is cost-driven, but has lower operational reliability as a four-engine FRA could continue its mission with a single engine failure while a twin-engine one would have to abort mission. In the previous selection processes, the only contenders were the IL-78 and the A330 MRTT. With the IL-78 out of the reckoning, the A330 MRTT remains a formidable contender, but there are at least two other challengers. The first is the Boeing KC-46 Pegasus which did not participate in the previous selections as it was not ready. Indeed, it is still under development and is expected to enter service with US Air Force (USAF) only later this year. The KC-46A is based on Boeing 767-200 and Boeing is committed to building 179 for the USAF by 2027. It can also be reconfigured to cargo and aero-medical evacuation roles and is equipped with armour in the cockpit for crew protection, Infra Red (IR) countermeasures to deceive missiles and electromagnetic pulse (EMP) hardening to operate in hostile environs. Japan is the first international customer for the KC-46A but, interestingly, South Korea, a close trade and strategic partner for US, has favoured the A330 MRTT over the KC-46A. The aircraft was first shown to IAF at Seattle in 2016 and its capabilities are known. The other likely contender is Israel Aerospace Industries’ Bedek Aviation Group with its Boeing 767-300ER multi-mission tanker transport (MMTT) with a modern glass cockpit, new engines, underwing hose-and-drogue refuelling pods and a boom customised for each customer. The aircraft can be reconfigured to carry 200 troops or 60tonnes of cargo. Bedek claims that the cost will be 15-20 per cent lower than an alternative with matching performance and operational capabilities. Last year, Airbus made a clever offer as a package deal for six A330 MRTT that included an air-to-air refueling kit for the 56 C295 aircraft that India is procuring from Airbus. The offer holds only mild interest as a C295 cannot refuel combat aircraft, but would be restricted to refueling helicopters and some other slower aircraft. 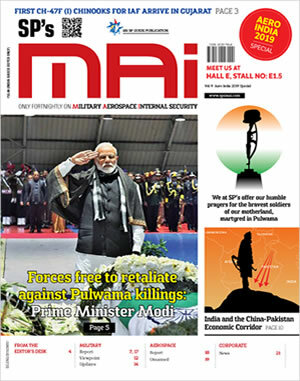 There is some lure in that offer as even the figure of 12 (six existing plus six new) FRAs would be inadequate to meeting the tasks of IAF and the Indian Navy. 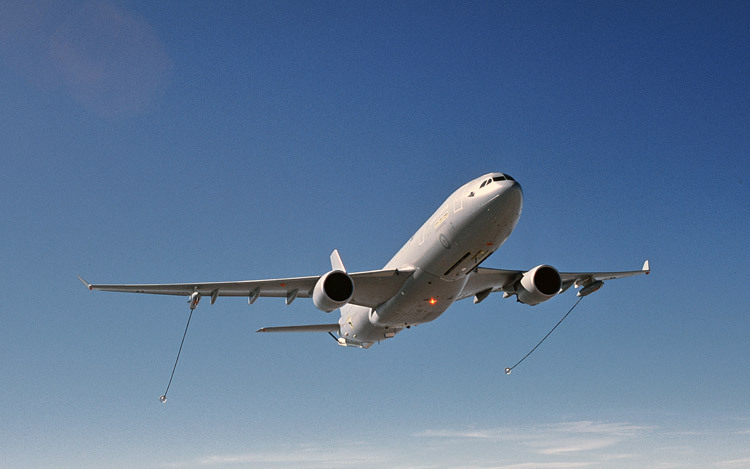 Even otherwise the A330 MRTT holds an edge over the KC-46A according to a report by Indian Defence Research Wing. As can be seen, the A330 MRTT can fly 2,500 nautical miles farther and 7,651 feet higher than the Pegasus, besides holding other advantages. 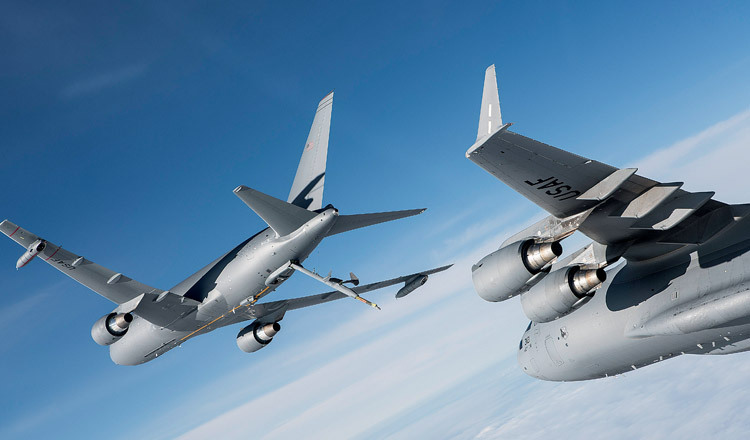 However, with its smaller size and because the Boeing 767 costs less than the A330 MRTT, the final tipping factor may well be the lower unit and life-cycle cost of the KC-46A. This is especially so as the previous two RFPs have floundered on financial rocks. Boeing is also highlighting the fact that KC-46A has better compatibility than A330 MRTT to refuel other Boeing developed platforms like C-17, P-8I, Chinook MH-47E and even Lockheed Martin C-130J already operated by IAF and Indian Navy. 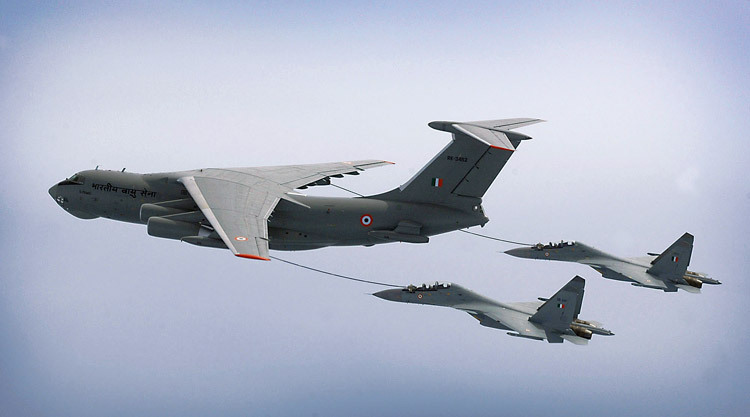 The recent air-to-air refuelling of the Netra brought to notice another initiative by DRDO. The IAF has reportedly asked for the Airborne Warning and Control System (AWACS) aircraft being developed around an A330 platform since 2015 to have the additional role of FRA. The wisdom of such a design is debatable and the arguments for and against will probably be deliberated upon in the future. Possibly, such an aircraft will lead to suboptimal attainment of either role while meeting the urgently required numbers of both AWACS and FRA. While the process for selection of a new FRA is underway, there is trepidation amongst IAF circles about the budgetary deprivation the defence services are afflicted with. 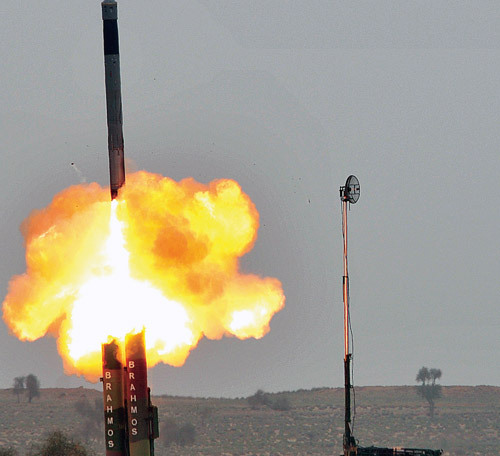 For 2018-19, the IAF had made a projection of 1,14,526 crore while the allocation is only to the tune of 65,891 crore. Indeed, the IAF has reportedly stated its inability to make even the tranche payments for purchases already committed prior to this financial year. Thus there will remain an interrogation mark over the actual acquisition even after the selection process comes to its expectedly long drawn span. As far back as 2012, Vice Chief of the Air Staff, Air Marshal D.C. Kumaria, had said that all combat aircraft of the IAF would have air-to-air refueling capability in future, clarifying that the decision applied to all current and future acquisitions, whether combat jets, transport aircraft, helicopters or other assets. Consummation of this lofty sentiment is predicated to a speedy culmination of the just launched selection process, hopefully this time concluding logically into an actual purchase of a minimum of six FRAs for the IAF.